All of our counselors are hired to work at one of our program areas during the instructional portion of our day. Because our program is instruction based and goal oriented, it is important that each counselor has strong skills and teaching abilities in one or more of the program areas listed below. 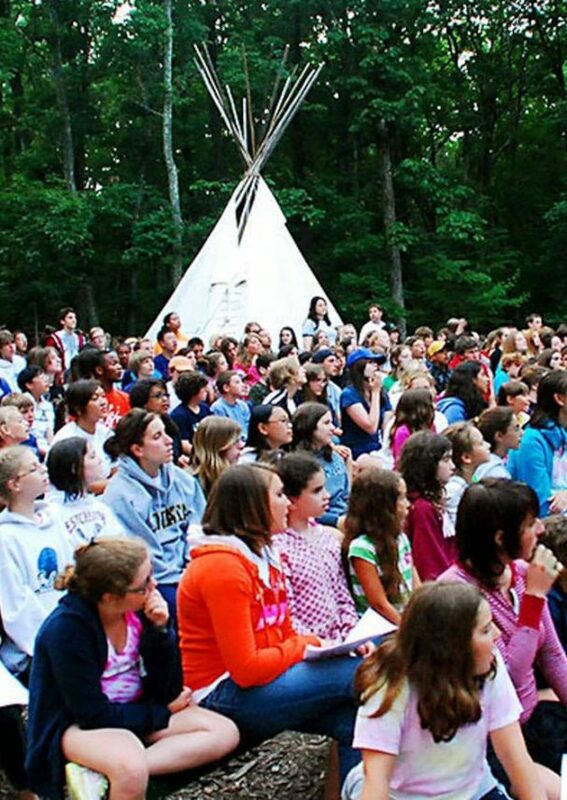 Camp Lindenmere has one of the top art programs in camping. Our campers select specific art areas such as ceramics, jewelry, stained glass, glass fusion, candle making, crafts, woodworking, heat press, tie dye and drawing and painting. Each specific area runs on its own, however, all applicants should be versatile in at least 2 of the above areas or extremely strong in 1 area. All of our art programs are housed in one air conditioned building with dedicated rooms for each program. Our equipment is all modern and we have an overabundance of supplies so that our staff can run the best possible program. Our art staff enjoys helping out with our theatre sets and backdrop as well as other special events and night activities that require artistic ability. Our athletic staff works under the supervision of our athletic director to ensure that skill acquisition and development take place throughout the summer. The philosophy of our athletic program is based on individual growth and learning instead of focusing on winning. Athletics staff teaches one or more of the following sports: basketball, volleyball, baseball, softball, soccer, hockey, lacrosse, golf, gaga, aerobics, yoga, fitness, running and archery. Our athletic programs take place on newly renovated fields and courts. Campers are scheduled to come to each activity based upon skill level and age. 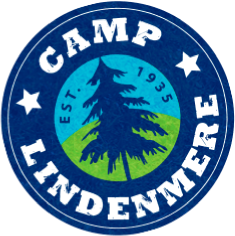 Because of Lindenmere’s unique program, campers report to their activity choices every day allowing for individual growth and skill acquisition to take place. 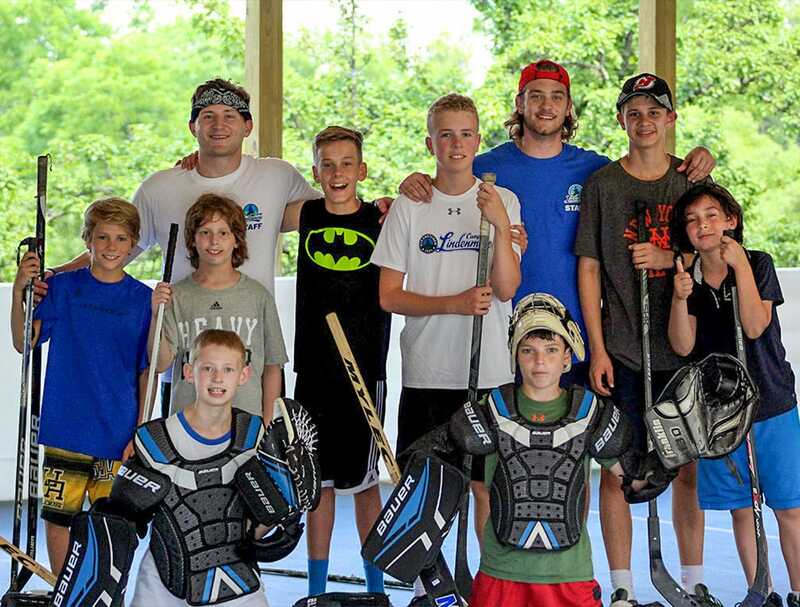 Campers get to test their skills in inter-camp games and tournaments with other local camps. We do not “cut” campers from teams and every camper has the opportunity to participate and play. We look for counselors with considerable previous playing and/or coaching experience. In addition, it is important that our athletic staff is fun, creative, patient and enthusiastic. Our Theatre staff is in charge of producing 4 camp musicals over the course of the summer. The theatre staff also teaches improvisation lessons, helps with talent shows and special events. Experience in some of the following is an advantage: directing, acting, choreography, vocals, scenery, music, set design and costuming. Lighting and sound equipment experience is also a plus. The theater facilities include a proscenium stage with the versatility to be used as a thrust stage equipped with a fly system used for back drops. We have 3 dressing rooms, professional lighting system, sound board, fully stocked costume and prop room as well as a piano/music area. Our Dance staff is responsible for putting on a dance show at the end of each session. Personal experience and the ability to teach a minimum of at least 2 of the following areas is essential: Hip Hop, Modern, Tap, Jazz and Ballet. The dance facilities include 2 hardwood dance studios with mirrored walls and ballet bars. Our private spring fed lake and our large heated swimming pool make our waterfront program perfect for instructing our campers in a variety of activities. We encourage all campers to participate in watersports and campers going into third grade and younger are required to take instructional swim. 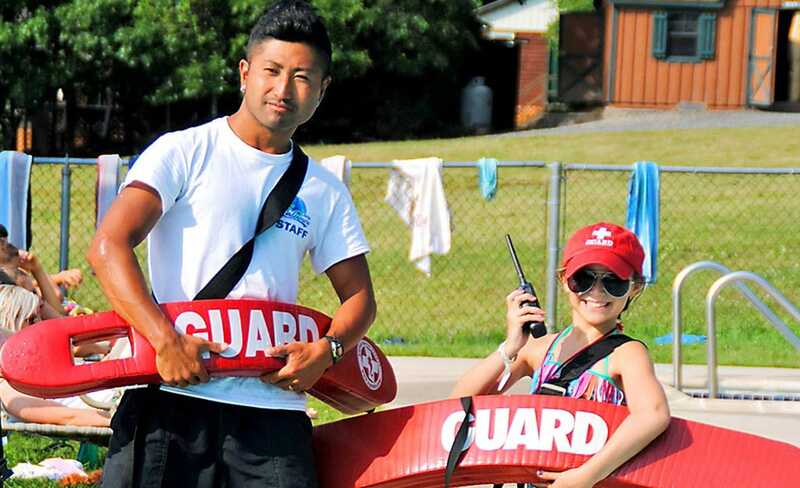 All of our waterfront staff must be Lifeguard, CPR and First Aid certified. We also use the pool for recreational swimming, night swims and water basketball games. In addition, our private lake is a perfect place for canoeing, fishing, kayaking, stand up paddle boarding, corkl’s, sand volleyball, playing on our sandy beach and boating. Our well-balanced adventure program exposes our campers to a variety of wilderness activities. 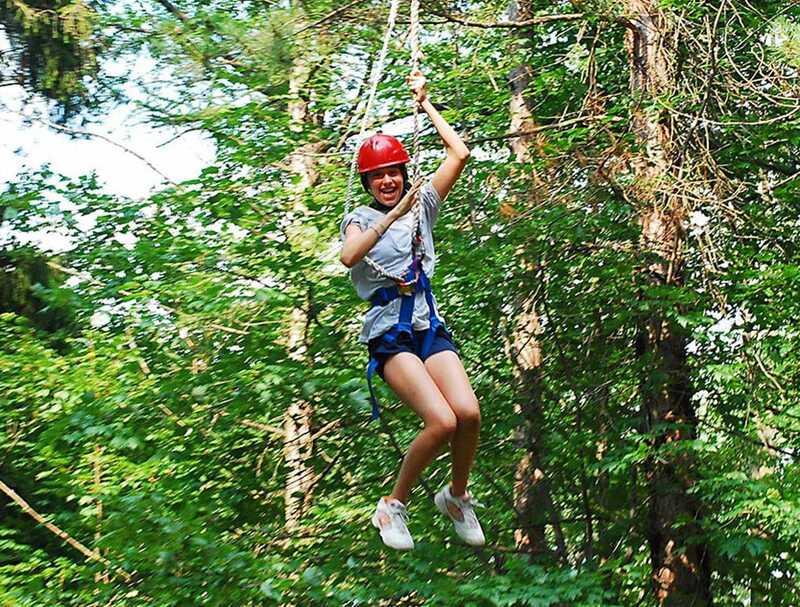 From our low ropes and high ropes adventure courses to our climbing tower and zip line, campers that select outdoor adventure participate and gain experience in all these areas. Our hiking and nature program involves both short and long hikes that take place each week as well as an overnight camping program. These trips are purposely designed for campers of all ages and ability levels. The concept behind this program is to expose campers to nature, hiking, food preparation and sleeping in a tent. Mountain Biking and Mountain Boarding are also components of our adventure program. Campers are taught the basics of mountain biking and mountain boarding as well as basic maintenance. All outdoor adventure staff must be comfortable with heights and have personal experience in one or more of the areas listed above. An ideal applicant also has experience with belaying and ropes course set up. All adventure staff attends a four-day program specific training before our all staff orientation. The Lindenmere skatepark is a cutting edge program. 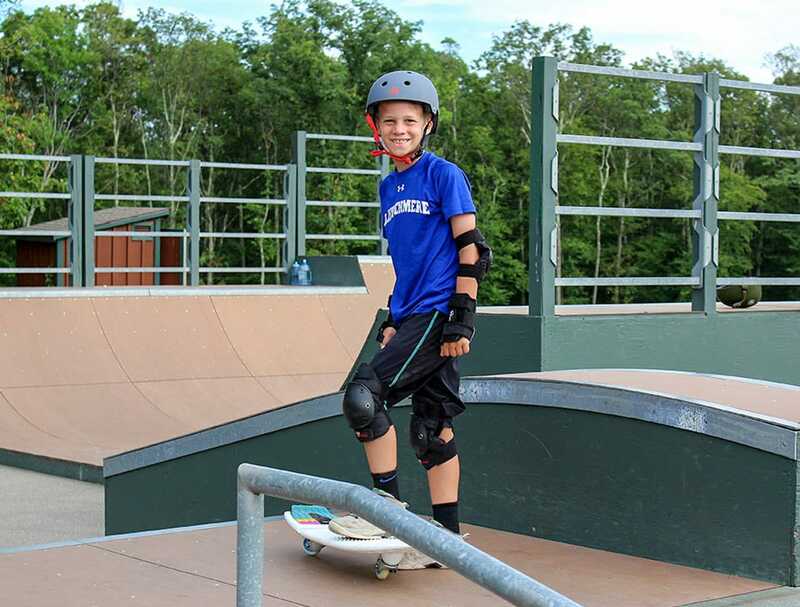 Our staff teach campers beginning, intermediate and advanced skills both freestyle and on our multiple ramps. Our facilities include 2 mini ramps, a bank ramp, fun box and grind rails. We are fanatical about safety and we look for staff members that are fun, creative and responsible to run our program. All applicants should have personal experience and be avid riders. Our circus program is a camper favorite! 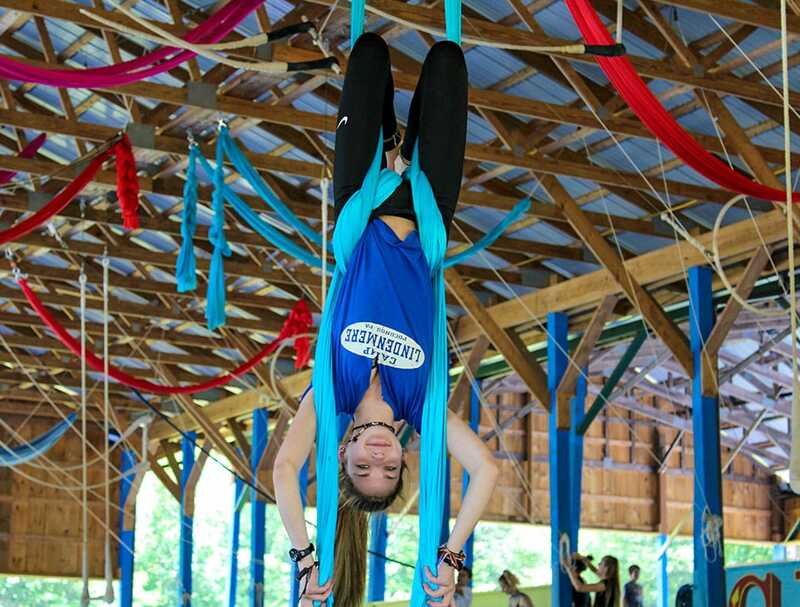 Circus staff instructs campers on the Flying Trapeze, Static Trapeze, Single Trapeze, Double Trapeze, Triple Trapeze, Spanish Web, Tumbling, Tight Wire, Balancing, Clowning, Juggling, Aerial Silks, Lira, Mini Trampoline and more! The campers who participate in circus work towards a tremendous performance at the end of each session. Circus staff applicants must have experience in at least 2 areas mentioned above and be willing to learn more areas during our orientation and training week. Our gymnastics program brings strength, skills and agility to the test! We use modern equipment and crash mats. Highly skilled gymnasts instruct everything from cartwheels to back handsprings. We focus on the main areas of floor routines and tumbling, balance beam, bars, uneven bars and rings. Applicants should have personal experience and teaching experience is a plus. 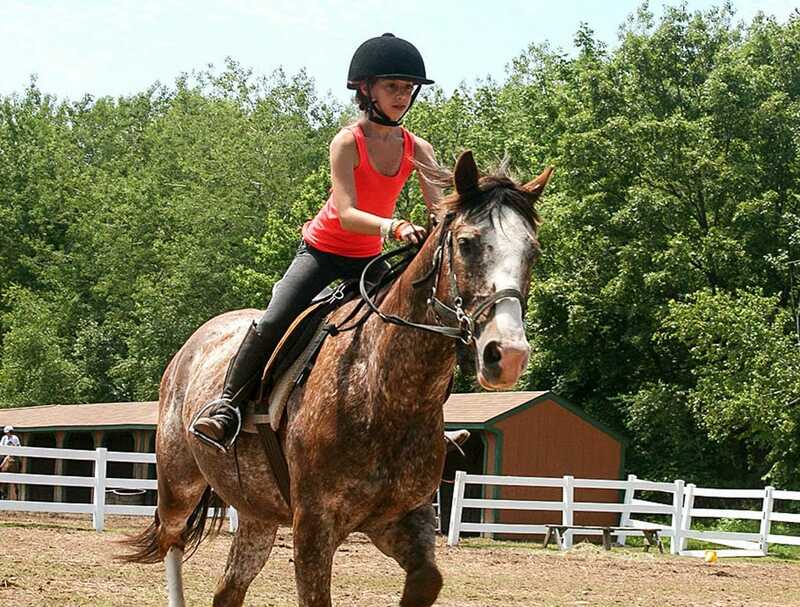 Our English riding program takes place on camp and features a 14 horse barn as well as a fenced in outdoor facility. Seven full-time instructors are responsible for instruction and taking care of the horses. The riding staff instructs campers on beginning, intermediate and advanced equestrian skills. Each camper involved in the program receives brief horse management lessons in addition to the in saddle instruction. Our riding staff must have experience in English style riding with a solid background in horse care and management. Safety is a priority and we insist that all riding staff adhere to making our program as safe as possible. Besides learning the basics of riding, going on trail rides and progressing through skills, our program is goal oriented and culminates with the campers putting on a Horse Show at the end of each session. Camp Lindenmere’s tennis program is sanctioned, supervised and designed by the USTA. Our facility includes eight all-weather courts and full-time instructors on each court. Our individual and small group lessons emphasize stroke development, service technique, and court knowledge. Intra-camp and Inter-camp tournaments take place on a regular basis. Previous playing and/or teaching experience are required for our staff. A majority of our staff has played tennis as collegiate athletes, is avid tennis players or has a wealth of coaching experience. Our office is hectic at times and requires flexibility, patience and the ability to juggle multiple things at the same time. Office staff helps answer phones, sort mail, deliver messages, make announcements and complete other projects as needed. The ideal applicant will be organized, computer literate and have good communication and people skills. We hire a full staff to ensure that all of our campers and staff stay healthy. We always have a doctor on site as well as 4-5 nurses (RN’s) to ensure that everybody’s health needs are met. Many of our medical staff work either the 1st three-week session or the 2nd three-week session of the summer, with some working the entire six-week session. Applicants should enjoy a casual atmosphere that requires autonomy with a team approach. Our Nurses must be patient, organized and willing to give TLC to campers away from home. All applicants must have a current nursing license and apply for a Pennsylvania license. Camp will reimburse the fees for licensing. Daily responsibilities include distribution of daily medications, attending to the sick and injured, assessment of camper and staff health needs, record keeping and daily communication with the directors. We are looking for “jack of all trades” maintenance workers who can do building repair, light carpentry and plumbing, painting, general clean-up, landscape/mowing and other general maintenance. Lifting is required. Our modern kitchen feeds over 500 people three times each day. Ideal kitchen applicants will have experience feeding a large number of people and who can multitask in a fast-paced environment. We are looking for cooks and kitchen prep workers to help prepare and serve the food and keep our kitchen clean, neat and organized.